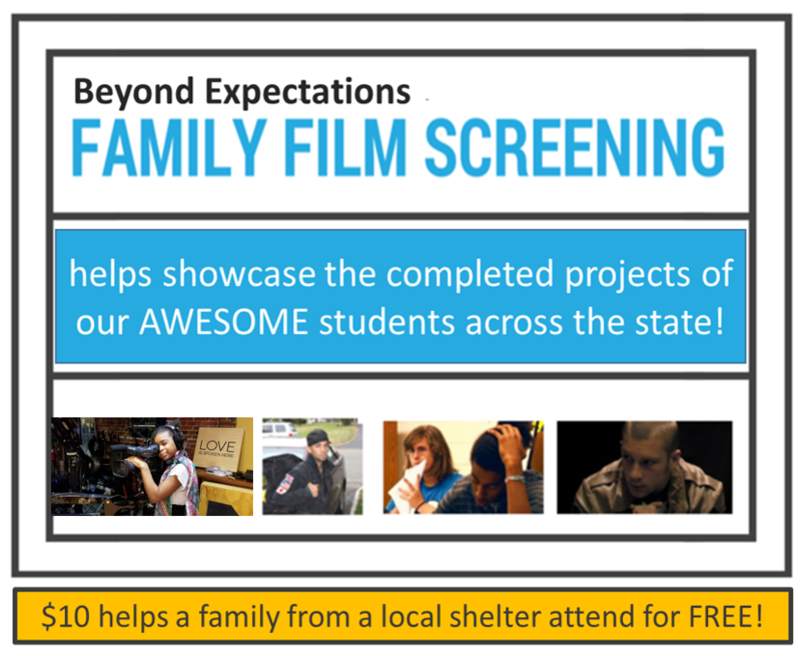 2019 Annual Family Film Screening by Beyond Expectations, Inc.
Sun, Jun 23rd 2019 at 12:00 PM EDT · By Beyond Expectations, Inc.
Showcase of completed film, video, and television projects by our amazingly talented students representing diverse neighborhoods and communities all across the region. EVENT SPONSOR for our Annual Family Film Screening covers the cost of promotions, certificates, and awards for all student participants. GOLD LEVEL SPONSORSHIP covers the cost of venue, tickets, and KidsPack Combos for all the children in attendance at our Annual Family Film Screening. Company logo on event signage and on the big screen. covers the production cost of media coverage of our event including exclusive interviews of key members of your team at a designated staging area on the day of the event. Promotional highlight video (<5 mins) will be provided to your organization. covers the complete cost of our Beyond Expectations Television Studio Production program for the entire year! Beyond Expectations, Inc. has partnered with Give Lively to securely process your online donation. This transaction will appear on your credit card statement as "Beyond Expectations, Inc.". This transaction is subject to Give Lively's Terms and Privacy.